This week we went out on a walk to explore our local community. 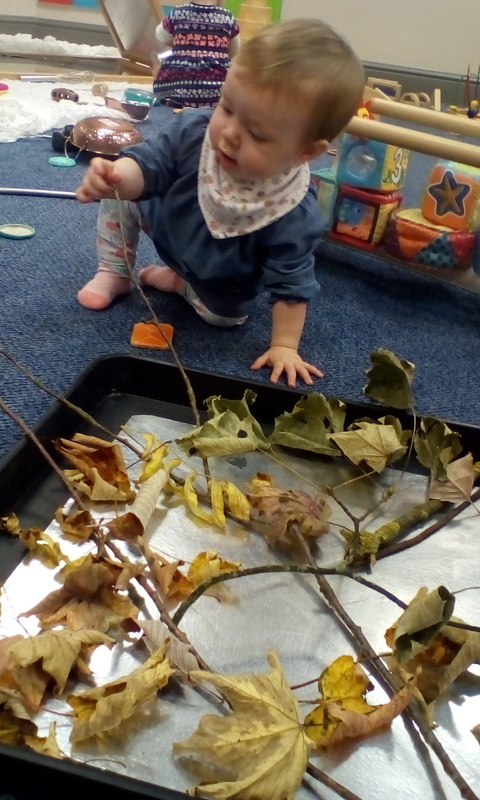 Whilst out and about we collected a variety of autumn leaves and sticks for the children to explore. The children enjoyed exploring them listening to the different sounds they made when squashed, and particularly enjoyed hearing them crunch. They also enjoyed feeling the different textures of the leaves and sticks.